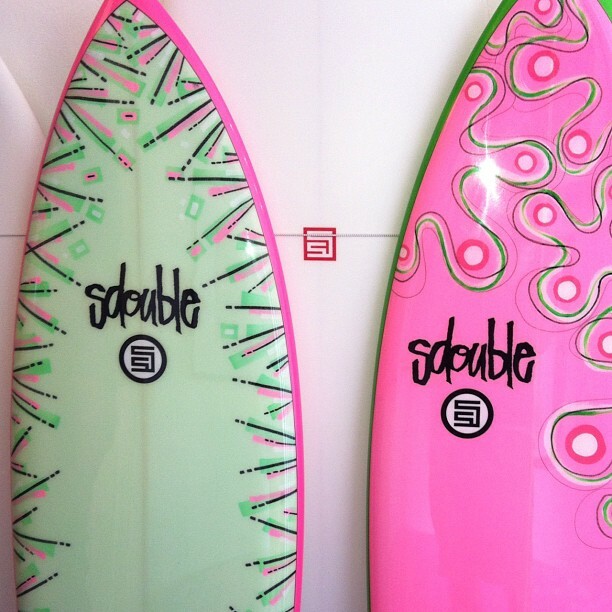 This past weekend while up in Santa Barbara, I finally had a chance to check out the S-Double pop-up shop with my buddy D-Russ. 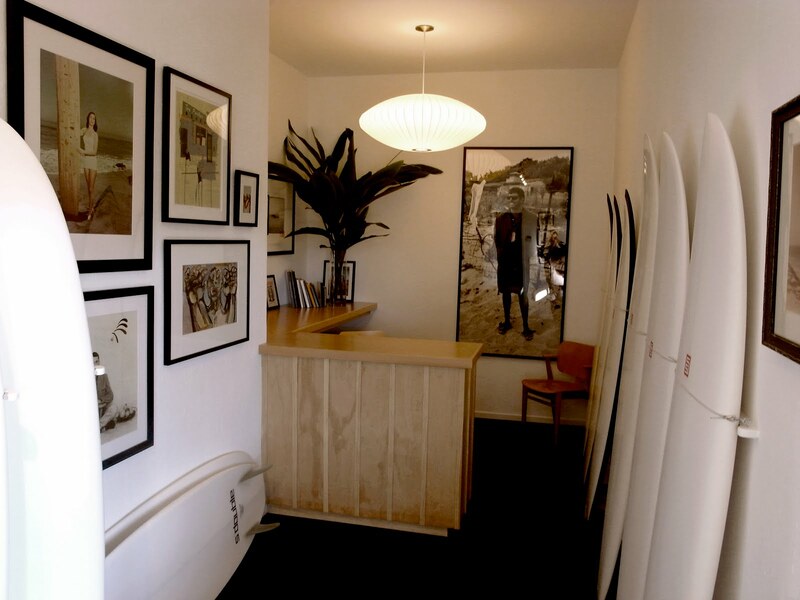 Located in the back of Richie's Barbershop in Montecito, the spot is the definition of simple, sleek, modern, and minimalist. After navigating your way through a very high end vintage-looking beauty barber shop, you'll see a door in the back with the iconic S-Double logo. Upon entering, you'll find a cozy boutique with the walls lined with classic black & white surf photo's, in addition to Shawn Stussy's hand-shaped boards (available for sale). The small desk in the back has a sampling of goods for purchase (A couple t-shirts, hoodies, and hats), and that's really it. If you ever find yourself in the Santa Barbara area - I highly recommend a brief stop. Address and additional pictures after the jump.